One of the best times of the year to visit Broome is during horse racing season, which takes place each year over a 12 week period between June to August. Broome races bring the region to life, with events being held almost every weekend to attract throngs of spectators including Broome locals living it up, Perth socialites escaping the winter, workers from the Kimberley seeking a bit of entertainment, international visitors and punters seeking an unforgettable experience. Even if Broome horse racing is not your cup of tea, there is also plenty of entertainment throughout the Broome racing calendar, with most venues putting on live entertainment in the evenings. Otherwise, you can simply sit back and enjoy a cold frothy while basking in the glorious Broome climate, while doing some people watching and admiring the striking outfits donned by the ‘who’s who’ of racegoers! 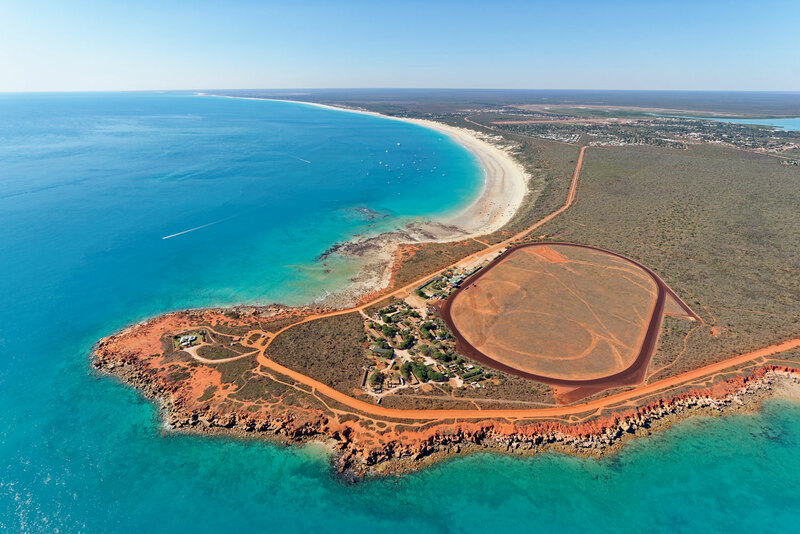 The crowning jewel in the Broome race round is the iconic Broome Cup, which was first held in 1894 and has become an unmissable event on the racing calendar. One of the aspects that make it so unique is its picturesque location - Gantheaume Point is situated on the westernmost point of Broome, which results in some spectacular scenery with the Indian Ocean as a backdrop. This provides a stark contrast to the red dirt of the race track, as well as the unusual setting of the member’s area, which is housed within a large tin shed. Broome Cup 2019 is taking place this year on Saturday 17th August at Broome Turf Club. There are a series of exciting events leading up to the racing finale as part of the Broome Cup Carnival, including the Broome Turf Club TABtouch Ladies Day on Tuesday 13th August 2019. Apart from the exhilarating line up of Broome horse racing, there is also a fashionable extravaganza for stylish socialites with the 2019 Ladies Day Fashions on the Field. You can read more about Broome’s biggest annual tourist attraction and this year’s Broome Cup line up here. There is no doubt that the 2019 Broome racing season will be even bigger and better than last year’s lineup, which attracted over 10,000 visitors. You can purchase your season membership and read about all of the inclusions you will receive, including free entry to the main races and events such as Ladies Day and Broome Cup Day, from Broome Turf Club here.